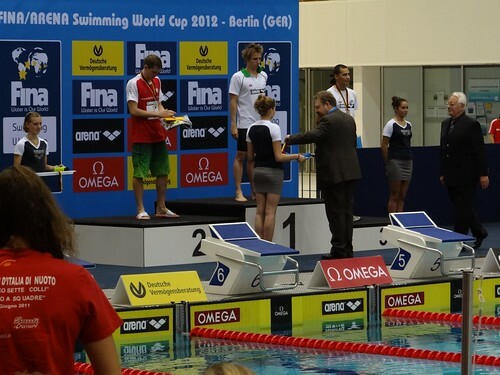 Hungary's Dávid Verrasztó winner in the men's 1500 freestyle at the FINA / Arena 2012 Swimming World Cup meet in Berlin, Germany. Poland's Mateusz Sawrymowicz (POL) second and Richard Nagy (SVK) third. See the result list here.